If you’re Bob Dylan and it’s 1990 and you want to get a lot of attention for your 66th concert of the year, what should you do? How about play the Eisenhower Theatre at West Point? 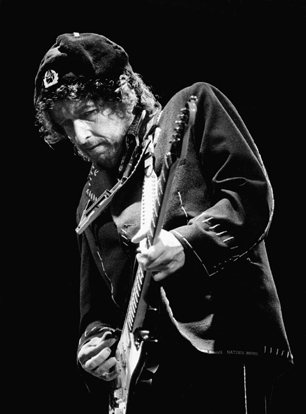 When Dylan and his band took the stage on October 13 for a show at the most famous military academy in the United States people sort of lost their minds. Just hours upstate from New York City, and not far from his old stomping grounds in Woodstock, the show attracted three audiences: fresh scrubbed cadets with crewcuts, ageing hippies in tie-dye, and New York based reporters with their mouths hanging open. Rolling Stone wrote about the show. The New York Times wrote about the show. According to Bjorner newspapers in Sweden wrote about the show. Here he was, the voice of anti-war protest singing at the United States Military Academy. It had to be some kind of signal about the end of the world. I highly recommend both of these articles for their descriptions of the show. Interestingly, because the show was bootlegged, you can check the facts on these live reports. 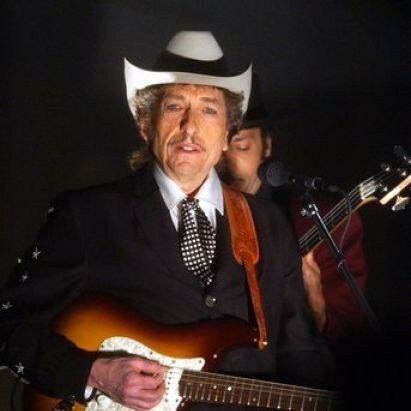 Alan Light of Rolling Stone suggests that Dylan was tentative to open the show, but I don’t hear that at all – it sounds like any other Dylan show from 1990. I have to say, I grabbed a copy of this show mostly hear to the high irony: the fourth show of the evening was “Masters of War”. Would, I wondered, Bob Dylan really go to the United States Military Academy and sing “I hope that you die / And your death’ll come soon” right to their faces? Apparently, yes. Yes, he did. It’s a rollicking version too. Light suggests that he swallowed the lyrics. No, no he did not – they’re as clear as anything else he sang on that night. He also suggests that the song didn’t go over well with the cadets up front. Possibly, but the cheers are no less loud for this than they are for anything else. The other odd moment of the show is in the encore, where the crowd – including, presumably, the cadets – sings along to “Blowin’ In the Wind”. These were young men training for the then inevitable first American incursion into Iraq, and here they were singing “Blowin’ in the Wind”. It’s an odd world. I’m glad that he finally made it!